The Ontario Geothermal Association will host its annual conference at the Hilton Mississauga Hotel in Mississauga, Ont. April 3-4. Several government announcements are expected, along with updates on positive industry developments, innovative funding models, new technologies and interesting projects. A number of expert speakers will give presentations and there will be a technology fair. Geoff Cape, CEO of Evergreen and chair of the Future Cities project will give the keynote address. This will include an update on promising partnerships and projects that are making geothermal heating and cooling a key ingredient, as Ontario and North America work towards a low-carbon future. Registration is open to anyone interested in the geothermal industry. 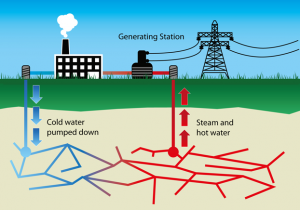 For more information, please visit www.ontariogeothermal.ca.